With their cost effective home security systems packages, Elite Security Services has been playing a commendable role in promoting a low crime society in this part of the world. The company provides top notch domestic security for a shoe string budget throughout the United States and Canada. One of the most aggressively expanding home security systems companies in America named Elite Security Services is leaving a long lasting impact towards building a safer society by decreasing the crime rate. The service from the company is now available for a shoe string budget throughout America and Canada. It has been found that households with a security package from Elite Security Services are perfectly protected with their security arrangements. 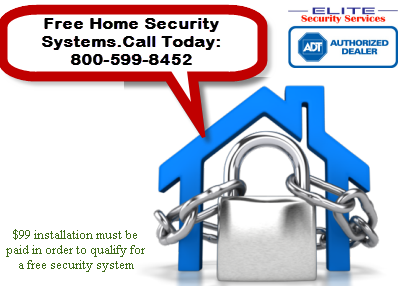 It may be recalled that they are an ADT authorized dealer of security systems, and all households with their packages are monitored round the clock by ADT monitoring centers. Their home security systems are equipped with tons of extraordinary features that make them a leading choice for the home owners. The company has two top of the line packages that are capable of providing 24x7 protections to users even without a landline phone or power supply. Many other sophisticated devices like sensors, motion detectors, burglar alarm, digital keypad, etc. are part of their security packages. They also provide high quality installation of their packages without spoiling the interior of the home. On demand of the customers, they also provide a next day installation service for no additional expenses. Their commitment towards customer satisfaction has recently earned them the highly coveted BBB accreditation. Apart from providing advanced home security systems for the house owners, the company also takes every initiative to create mass awareness among people, to reduce crime. The company maintains their highly active blog and YouTube channel to enlighten the home owners about different aspects of home protection. The company is owned by familiar security consultant Mr. Paul Shakuri. Talking about the initiative from his company, he says, "Well, we have just started few months back. I am really happy if we have been able to make any impact on building a safer world for all of us. There are too many things to do. With your support, I am sure we can make it someday".